Let’s talk bacteria on cell phones, but first, a story: A young woman was walking slowly down the busy New York City sidewalk. Her head was down and her eyes were glued to her phone as she typed something on the keyboard. I was walking in the other direction. I could have moved, but I didn’t. She walked right into me and was startled, as if she realized she was on a sidewalk and not at home on her couch. She then apologized. I walked by, wondering, “Should I have apologized to?” The answer is No. No, I shouldn’t have apologized, because she should be glad I wasn’t a bus. Folks, for a lot of reasons, we need to put away the phones and look up more. The encounter got me thinking. How many ways can our cell phones kill us? I’ve already posted a few links and interviews that touch on my skepticism surrounding the notion that EMFs are completely safe. While there isn’t one identifiable mechanism of action for how they might harm us, I find the theory of disturbances of the microbiome and normal flora most interesting. In the near future, I’ll write about cases involving “cell phone neck” and “selfie wrist” and of course there is the ceaseless debate on how cell phones affect our mental health and ability to connect with one another in person. Perhaps because it’s flu season, I started wondering about the germs on our phones. Even our headphones. Phones and headphones are fomites ( the official word for an object that carries germs) and since we touch them constantly, bring them everywhere, share them with each other and hold them up to our ears and mouths, I wanted to research the potential for germ growth and transmission. Forty cell phones in a healthcare setting were analyzed for microbiological contamination. The healthcare setting is interesting because there are a lot of germs, a lot of sick people to spread germs, and a lot of sick people with low immunity who are more prone to being infected. Phones of both healthcare workers and patients were analyzed. Results showed that ALL of the phones were contaminated. The most prevalent bacteria were Methicillin-Resistant S. aureus ( 52.5% of phones) ; Coagulase-Negative Staphylococci (50%) and Non-Anthracis Bacillus spp ( 42.5%). Coagulase-Negative Staph was found most on doctors’ phones; Methicillin-Resistant S. aureus (MRSA) was found most on nurses’ and patients’ phones. Methicillin-Resistant S. aureus mostly causes skin infections, but in more severe cases, pneumonia and sepsis. It’s more challenging to treat, because it’s resistant to several antibiotics. Coagulase-Negative Staph lack coagulase, an enzyme that causes fibrin in the blood to clot. Bacteria that have coagulase can create a protective barrier of clots, making it harder for the immune system to kill them. For this reason, Coagulase-Negative Staph are generally considered less dangerous than Coagulase-Positive Staph. Coagulase-Negative Staph are commonly found on the skin, and infections normally aren’t a problem. However, infections from Coagulase-Negative Staph become a problem for individuals with poor immune systems; individuals with central lines; catheters; or prosthetic joints- you know, folks often in hospitals. Bacillus spp ( the ones that don’t cause Anthrax poisoning) , are usually harmless unless, again, someone has a weak immune system, is an IV drug user, or has an indwelling device. Bacillus cereus is known for causing nasty bouts of food poisoning. Surgical patients with open wounds and premature babies are also at a heightened risk of Bacillus infection. In severe cases, it can cause pneumonia, endocarditis, meningitis, septicemia and death, especially in premature babies. 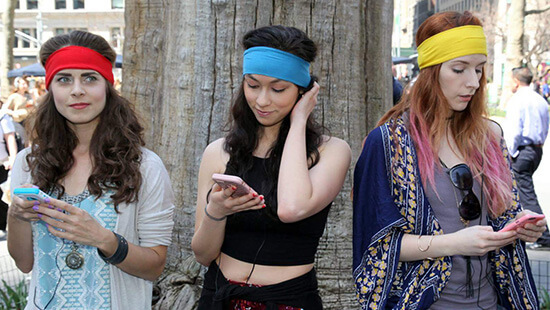 Another study analyzed 100 cell phones from 100 college students. All phones were contaminated with a wide-range of bacteria, proving that cell phones are the melting pots of the microbial world. Pathogenic bacteria made up 81% of all isolated bacteria, and antibiotic-resistant bacteria was present. Bacillus cereus was found the most, followed by Coagulase Negative Staph, Klebsiella pneumonia, Streptococcus pneumonia, E coli, Salmonella spp and Shigella spp. Also, the presence of E coli means that we have feces (poop) on our phones. That might make you cringe, but think about all the people who are probably scrolling on Instagram while on the throne. What about surgeons who deal with the most intimate of the most intimate? Researchers analyzed 53 cell phones that belonged to 53 orthopedic surgeons. Phones were swabbed in the operating room, since phones are now commonplace in the OR. Results showed that 83% of phones had pathogenic bacteria, and one week out from disinfection, 75% of the phones had pathogenic bacteria. Like all of us, doctors, nurses and patients are addicted to their phones. It makes me wonder if we should rethink standard operating procedures for cell phone use in the hospital setting. Thanks for reading, gang. Stay tuned for more stuff. If you haven’t followed me ( Dr. Eeks) on Instagram yet, now’s your chance! ( Dare to dream, I know…) But we have a lot of giveaways, pictures of my dogs and funny videos that all relate to health and wellness. If you haven’t read Manic Kingdom yet, why not? C’mon, it’s a short read. I need more reviews, too. But if you’re looking for “answers,” don’t read it. The book is the antithesis of answers. It’s all about embracing ambiguity and uncertainty and showing how both breakdowns AND breakthroughs may be hard to understand; may seem illogical; but to cherry-pick answers, labels and reasons would be dishonest. Uncertainty is honest. Make Money and Sign up for our Affiliate Program! !